PORT OF SPAIN - The Caribbean Court of Justice (CCJ) is hoping that a set of technological upgrades it recently adopted will trigger a digital revolution in courts across the region, and transform how justice is delivered. CCJ President Sir Dennis Byron, who spearheaded the Court's adoption of the new digital platform for document-filing, case management and performance measurement, described the switchover as "a major development for lawyers and courts in the region," with significant potential to make the delivery of justice more efficient and timely. "The new system will allow judges direct access to case information from any location, including via their mobile phones. It eliminates the risk of misplaced files and enables lawyers to commence proceedings by filing actions over the Internet," he said in an interview at the CCJ headquarters in Port of Spain. For the venture, the senior judge enlisted the help of colleagues, lawyers, governments and even one of the region's leading technology experts. He credited the work of Bevil Wooding, a name well known on the Caribbean technology scene, as being integral to the design of the digital systems over the last two years. "Beyond overseeing the development of the software, Mr. Wooding has played a vital role in establishing the strategic framework to ensure that justice stakeholders across the region can have an ongoing say in the evolution of our technology-driven approaches to court administration," Byron said. "The idea of digital courts, electronic filing and automated case management has been on the table in many of our jurisdictions for several years now. With APEX, Caribbean courts will not only have more affordable access to innovative software, they will also benefit from a Caribbean-based support structure that is much more responsive to Caribbean needs," said Wooding, a longstanding evangelist for regional development and digital innovation. "The CCJ has had many significant milestones in its 10-year history, but this is one that I am particularly proud of," Byron said. "One of the main criticisms of the judiciaries in the Caribbean is the fact that justice seems to move too slowly. 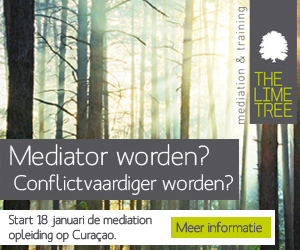 These new tools provide a tangible, Caribbean-led approach to improving the efficiency and timeliness of litigation in the region." "By championing the use of technology in this way, the CCJ is a working model for judiciaries to emulate. 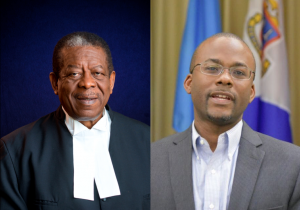 A number of court officials from the Caribbean and further afield have visited our court to see what we do here and this is another one of the ways that we believe the CCJ can add value to the improvement of justice in the region."